Super Reduce fee: until January 11, 2016. Reduce fee: from January 12, 2016 until May 17, 2016. Fee: from May 18, 2016 until August 23, 2016. Late Fee: fee to be paid on September 7th, 2016, at the start of Congress. The official currency of the Congress is the euro. All payments must be made in euros. Attendance at all scientific sessions of ICD Granada 2016. Workshops. 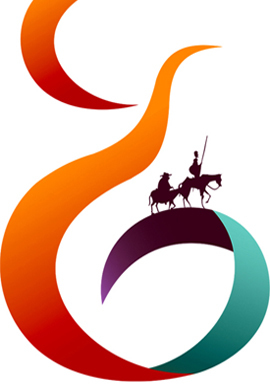 The proposed workshops will be published during the month of October 2015. Once you have formalized your congress registration, the organization will send an email with a workshops list for you to choose the workshop you would like to attend. Certificate of attendance at the Congress. Working lunches on 7th, 8th and 9th September 2016. Movie ticket to watch the premiere of the film "Going to sustainable eating". 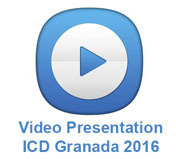 This film will be released during the ICD Granada 2016 and shows what sustainable eating is. Special discount on the planned activities in the social program. The students don’t have included the Workshops. However, if you are interested in a Workshop please contact the Technical Secretariat (icdgranada2016@mastercongresos.com) and they will contact you if there are available seats. The ICDA member associations above have been selected by the ICDA Board, based on a formula of average income in relation to per capita gross domestic product (GDP). Please note: Registrants of the Special Consideration Rate will have their current area of work and residency checked by their national dietetic association. Any registrant found to be working or residing elsewhere will be required to pay the full registration rate. Student fee: It’s necessary to present a copy of the school fees payment or the registration of University studies in Dietetics and Human Nutrition (Course 2015-2016). This registration is not valid for doctorate, master or postgraduate students. The congress registration fee includes the lunch for the days of the 7th, 8th and 9th September 2016. Lunch will be healthy with vegetables, fruits and whole grains as the protagonist,being meat and fish as secondary role. Furthermore, lunch will be prepared with typical Spanish products, taking into account geographical aspects in order to promote sustainable food. If you have any other food allergy that is not included in any of the options proposed or you have other special dietary needs, please write an email to icdgranada2016@mastercongresos.com requesting a special diet menu. Date: 7th, 8th and 9th September 2016. Hour: 1.30 pm – 3 pm. Tickets: included in the congress registration. 60 days before the Congress: Return 100% of the total amount. Between 60 and 30 days before Congress: Return 50% of the total amount.